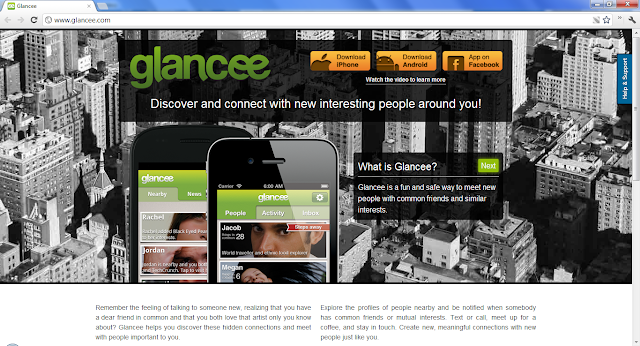 Glancee is a fun and safe way to meet new people with common friends and similar interests. Available on Android, iOS, and Facebook. UPDATE: Facebook announced on May 4, 2012 that is had acquired Glancee.